A ski holiday is one of the best holiday’s you can go on. Whether you’re cruising down the piste, landing a jump or perfecting a trick, the feeling of excitement is second to none. It truly is a trip that lingers long in the memory. With that in mind, we have put together a list of ski holiday tips for you to make the most of your trip so all the memories are great ones. So, if you can’t wait for your next winter sports adventure to start or you just want some first-time ski holiday advice, then take a look through our 10 Tips for a Great Ski Holiday to get you in the spirit. 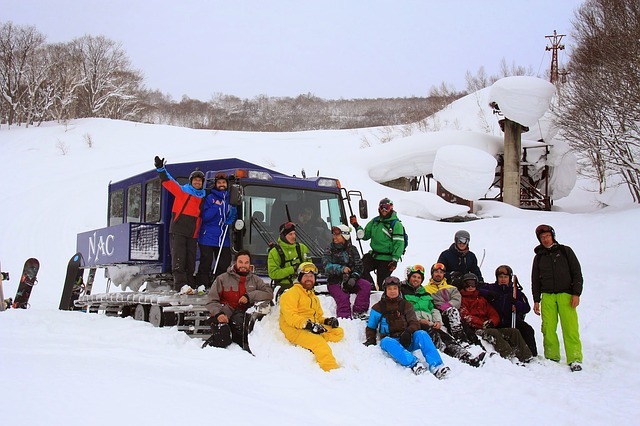 After consulting with skiers, snowboarders, instructors and ski reps, we have been able to use their knowledge and experience to put this list together to provide you with some first-hand skiing advice. We want you to have the best time possible when in the snow, so follow our tips and you’ll be on the right track to a great ski holiday. Before we start, we expect people to have already taken out winter sports insurance. It really is a no-brainer and that is the reason why we haven’t listed it as a ski holiday tip, but do refer to it. A ski lift pass grants you access to the winter wonderland that is the mountain and the ski resorts lift system; as well as the use of resort transport amenities such as the shuttle bus service. Whether you crave the first or last chair your ski lift pass is your new best friend. They are not cheap so make sure your lift pass is secure at all times! Once you have purchased a lift pass, take a photo of it (as extra proof of purchase) and tuck it safely away in the pass pocket on your ski jacket. At most ski resorts access to the ski lifts is via a hands-free system, so you won’t need to touch your pass again. 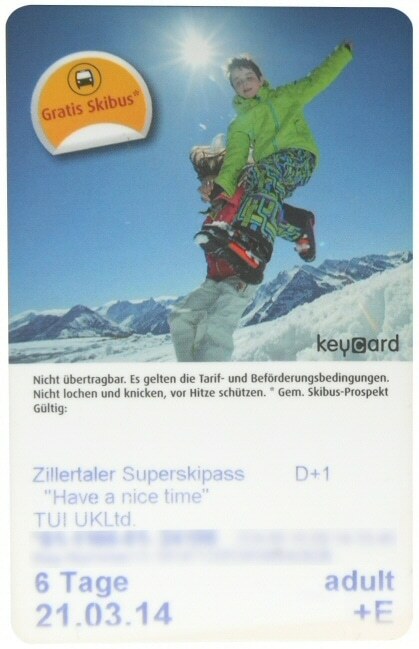 Now your ski pass is safe, make sure you keep the receipt safe. You will need the receipt (and or photograph) for proof of purchase against any future claims you may make. Where to buy your ski pass? Generally, there are two places of purchase; in resort vendors and your travel rep (when they have you captive on the coach transfer). The price is usually the same, but both may not follow the same lift pass policies of the resort you are in. Oh no! I’ve lost my ski pass what do I do now? In the unfortunate event, you lose your ski pass you are at the mercy of the ski resort. Ski resorts like Mayrhofen, for example, will allow you to go back to the cash desk with the receipt. There they will cancel the lost card and issue you a new one. You will have to pay a new deposit for the new card, this is usually 2-5 Euros. In other resorts, lift passes are not replaceable. You will need to purchase a new one to access the lift system. I injured myself can I get a refund on my lift pass? Claiming a refund for a lift pass in the resort is much the same as a lost pass. Dependent wholly on the policies of the individual ski resort. Some vendors will give you some of your money back for the days that you can’t use the pass. Travel reps, on the other hand, do not usually offer any refund. The best advice for a refund is to make sure you have adequate winter sports insurance to cover any such claim. Please note: Even if you have taken out insurance it may not cover a ski lift pass if you lose it, so please check. Everybody always plans to ski or snowboard every day when they are on a ski holiday. After all, that is what you are there for. Often we push ourselves far more than we would at home. Be sure to listen to your body taking a break when you need it. Rest is important so your muscles can recover. 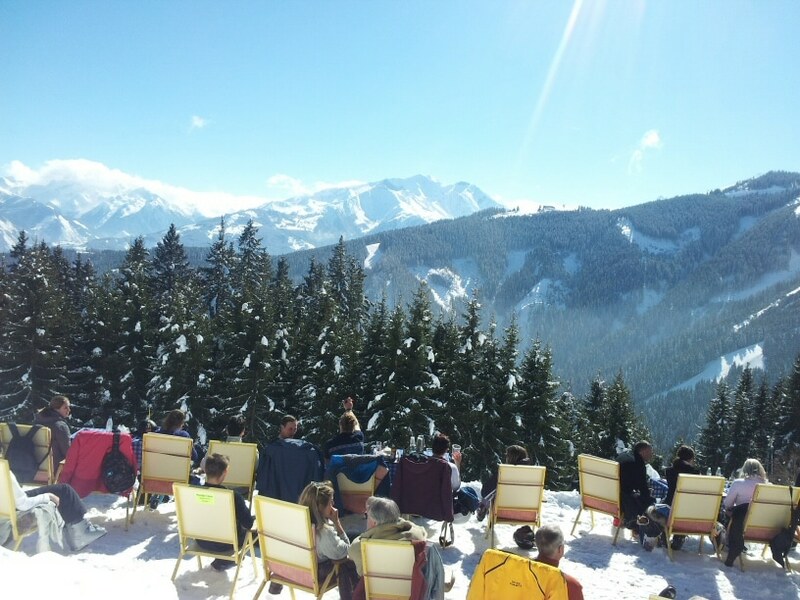 A mountain restaurant can be a great place to stop off, letting you relax and get your breath back. Spend some time admiring the scenic views and breathe in the fresh mountain air. After all skiing and snowboarding are energetic sports; especially if you are out of practice. It is best to avoid forcing one last run when exhausted. Conditions can change quickly on the mountain even when repeating your previous run. If you haven’t the energy to react and adapt you are most likely going to take a tumble. Always finish on a high. When you do stop for a break be sure to keep your equipment safe and out of the way of the piste and other people. You wouldn’t want someone to ride over it or even worse steal it. Why not take a full day off skiing or snowboarding and really chill out. There are usually plenty of alternative things to do in and around a ski resort, such as ice skating, snow-shoeing, husky rides or relax in the local spa. Bluebird days are simply awesome, goggle tans not so much. It’s important to remember to keep yourself protected from the sun as well as the cold when on a ski holiday. The sun is much stronger in the mountains than at the beach. Therefore we suggest applying a sunscreen with a Sun Protection Factor of 30 or higher on all exposed skin. Not forgetting to always wear lip balm with an SPF, even when it is cloudy. This is because the harmful UV (Ultra Violet) rays can be 4-5% stronger with per every 1,000ft you climb above sea level. It is due to the cleaner, thinner air providing less of an atmospheric filter. Furthermore (as if that wasn’t bad enough), up to 80% of the suns UV rays can reflect back up off the snow and hit you again even on overcast days, as ultraviolet rays still penetrate the cloud cover. The reflected rays create the glare which causes you to squint when looking at the mountain. In some cases, this can lead to Snow Blindness (sunburned eye). This is why you should always wear good-quality sunglasses or goggles to prevent any damage to your eyes. The lenses will help to cut the glare and filter the strong UV rays enabling you to see clearly. To learn more about UVA and UVB rays click here. Who doesn’t like showing everyone their holiday snaps? The mountains offer some breathtaking views that you don’t see every day. So capture friends and scenery on camera so you can all enjoy looking at them later. It’s hard to find anyone who hasn’t got some form of camera or video recording equipment with them when they are on holiday. It is our photographs and videos which capture those moments that are special to us. They invoke emotions be it a smile or a tear. They tell stories and allow you to re-live the memories. Skiing and snowboarding offer a great opportunity to capture fast-paced action photographs with amazing scenic backdrops. As the saying goes “A picture is worth a thousand words” so get out your camera and go capture some memories! If you don’t have a camera, photobomb the ski resort webcam like these guys … and get the pictures when you get home. With technological advances, it would be hard not to mention drones or UAV. It’s only natural to want better footage of your ski-runs and that is most likely to be from a drone or UAV. Especially as they are becoming more accessible and affordable. Unfortunately, most ski resorts still prohibit personal drones within their boundaries, unless previously authorised. This is primarily due to safety concerns as they may crash into towers or fall on people, not to mention the noise. You may, however, find some resorts do offer a commercial drone service. So if you are desperate for aerial footage it’s worth checking. Outside the ski-area boundaries in the backcountry, however, it seems the same restrictions do not apply and you can take a drone with you. Skiing and snowboarding are great exercises, burning almost 500 calories per hour. Therefore, staying nourished and hydrated throughout the day is an absolute must. 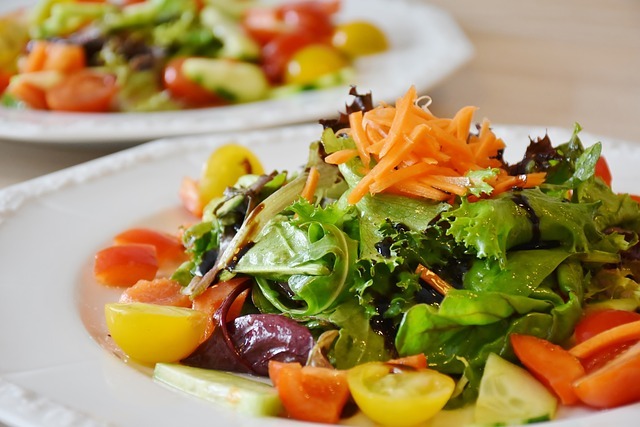 Healthy salad to dig into! This is where eating for exercise comes in. You provide your body with the fuel it needs to not only function efficiently during the intended exercise but also to fight fatigue. The thinking is similar to making sure a car has enough fuel before going for a long drive. Now, not all eating plans, habits and regimes suit everyone. So rather than preaching about the best times and what to eat, we thought pointing out some of the goals of each meal so you can make your own choice of whether to have it or not, after all, you are on holiday. Often quoted as, “the most important meal of the day”; breakfast will help to prevent fatigue when participating in endurance sports. A healthy breakfast (I know there is always a catch) will provide you with an energy boost by replenishing your body with essential nutrients after an overnight fasting period, ensuring you have more strength and endurance for the ensuing mornings skiing. It kick-starts your metabolism into gear and keeps hunger at bay. It helps to improve mental focus, essential when skiing and snowboarding. Fuel your body until you stop for lunch. To boost your energy before hitting the slopes. If you are not one for eating at breakfast time make sure you take plenty of snacks with you. You’ve made it through to lunch and definitely need to eat something but what to have? A lot will depend upon your afternoon activities. If you are planning to continue skiing and don’t want to suffer from a post-lunch energy slump then try and keep it light but still providing the necessary energy to keep those muscles working. 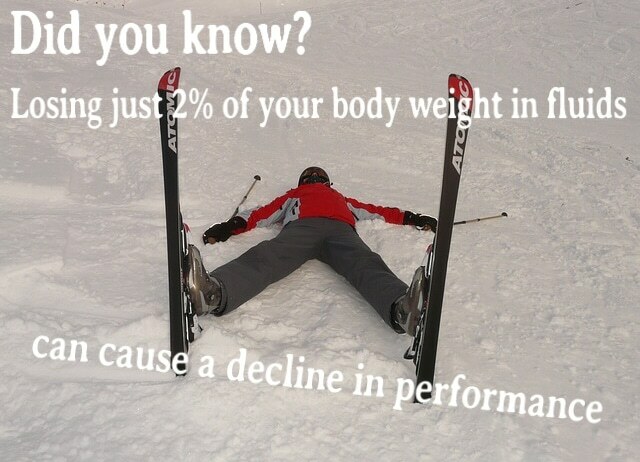 Overindulge at lunch will only make you feel uncomfortable and sluggish, slowing you down on the piste. Provide energy for the rest of the day. Snacks are great because you can eat them whenever and wherever you like as you never know when you will feel a bit peckish. The convenience of a quick snack on the chairlift means you can avoid the queues in the often overpriced restaurants and best of all you won’t miss any ski time. Stock up your pockets and you will always have something to eat. Remember, if you do take your own food to always clean up afterwards, as no-one wants to see litter on the slopes. You’ll be ready for this after a day on the slopes. Finally, you get to sit down, relax and tuck-in to what is usually your biggest meal of the day. Replenishing your depleted energy stores with a good healthy meal will not only help your muscles repair but also lessen soreness for the next day. It could also a good time to try the local cuisine you are on holiday after all! Repair and build the worked muscles. Keeping the body fuelled wouldn’t be complete if we didn’t mention Hydration. Your body needs water to survive, so much so that you can live longer without food (approx 3wks) than you can without water (approx 3-5 days). When you consider water makes up around 60% of the human body; it makes sense really. Hydration is essential for overall good health in everyday life, not just when you are exercising. It’s impossible for your body to perform at its highest level without good hydrated. Good hydration helps the body in many ways on a daily basis, such as brain function, lubricating joints, aiding in food digestion and flushing waste from the body to name but a few. If you want to look from an exercise perspective drinking water helps to regulate body temperature, improve performance and combat fatigue. Are you starting to see the importance of hydration yet? If not let us take a look at the negative impact of not taking in enough water. This is when the loss of body fluids, is greater than the amount consumed. Dehydration has a negative effect on your body at the best of times, let alone when you are exercising, especially at altitude when skiing and snowboarding. Instead of performing at its best, your body when dehydrated may feel tired. You may notice changes in your mood and a drop in concentration level and even headache. Other symptoms you may also suffer from are, muscle cramps and dizziness, depending on your level of dehydration. If you are exercising when already dehydrated you will show a notable drop in performance with increased fatigue, reduced endurance most noticeable. Don’t wait for the early signs of dehydration such as thirst or dry mouth to take action, drink water throughout the day. The simple way to check for dehydration is to look at your urine. If the urine is mostly clear in colour it is a sign of good hydration. The darker your urine the more dehydrated you are. So now you can see why good ol’ H2O is so important. Couple this with the fact you are at altitude so your body is already working harder than it would at home and you can’t fail to see the necessity for drinking water and to stay hydrated whilst on a ski holiday. All ski resorts have a piste map showing all the official routes or runs that are available but that does not mean all runs are open. Check the information boards to see which runs are in operation that day. You will usually find them at the gondola or chairlift station. There will be times when you find a piste area that is for some reason not open. If that is the case don’t think it is safe to duck under the barriers. It is best to stay away from this route and find an alternative path. It’s important to note the piste patrol may not monitor a piste area when it is off limits. Should you have an accident here it could take longer to find you and in some cases, your insurance may also be invalid. If you use your piste map to plan your routes the previous night, again check the information board as you may well have to make some last minute adjustments to your route. This is the option most people on a ski holiday go for, which is why pistes are so busy. The piste is a track of nice and flat firm snow. Usually, they are free from most obstacles due to a process of grooming. Signposts are in place (some more clearly than others) to help identify which piste you are on. So you don’t have to worry about losing your way. There is also a network of lifts and gondolas to help you get around. Not forgetting places to stop and take a break. Off-piste can be exhilarating, the lure of making fresh tracks in terrain that provides a more of a challenge to that in the resort can be hard to resist, but it is not without its own inherent risks. It is certainly worth checking your insurance covers you for off-piste at this point. If the appeal for off-piste proves too strong never go alone, travel in a group and always stick together. You may even consider hiring a guide as local knowledge of terrain can uncover a hidden gem of powdery paradise. It is always worth telling people about your off-piste plans. Should something happen to you there will be very few people around. The people you told will now have a clearer idea of which area to search and where they are most likely going to find you. Make sure you have the correct equipment and know how to use it. You should not venture into the backcountry without the most basic tools such as beacon/ transceiver, shovel, probe and of course food and water. Most important – make sure you know how to get back! It’s no surprise that wearing the correct snowboard and ski clothing is an integral part of staying comfortable on the slopes. Modern ski clothing has withstood a lot of research and testing to ensure they offer the wearer a functional, well fitting and stylish piece of outerwear. Unfortunately, your everyday street wear will not keep you warm and comfortable enough in the changeable weather conditions of the mountains. If it’s your first time or on a budget don’t worry. Although, it’s nice to have your own gear it’s not essential. You don’t have to buy everything outright. See if you could borrow items from family and friends or maybe choose to hire in the resort. So what do you need to wear when skiing or snowboarding? Note: Beginners might want some form of protection. Snow impact shorts for learners as you will be on your bum a lot. You wear ski clothes like all winter clothes in a series of layers. A base layer to keep you dry, a mid-layer for warmth and outer layer for weather protection. Wearing clothes in layers proves to be a very efficient system; as every layer plays a part in keeping you warm, dry and comfortable. The base or inner layer sits against your skin; essentially it is your underwear. There are different styles and fits of base layer available and your choice will revolve around your activity. Base layers for winter sports, however, usually have a compression fit, with the tops having a long sleeve, while the bottoms are either long or short length depending on preference. It helps to keep your skin dry by transferring or wicking the moisture (sweat) away from the skin onto the next layer of clothing where it can evaporate more easily. This, in turn, allows your body to maintain a regular temperature. The most common materials for a base layer are synthetic fabrics and Merino Wool. Both have excellent wicking properties. You can also use Silk, although it is not as common. It is not as warm, however, and very expensive. Top tip – try to avoid using cotton as a base layer as it holds on to moisture and is slow to dry out. As you can see is an important layer to get right. The mid layer creates an insulating effect when you wear it between the other layers. It keeps you warm by trapping an extra layer of air close to your body. The most common mid layers are fleece and soft shell. Both are lightweight and breathable, whilst still wicking moisture away. You won’t always need to wear a mid layer but they are really useful on the very cold days. The outer layer is your ski jacket and pants. This is the layer that protects you from the wind, rain and snow. As with base layers, jackets and pants come in a range of styles and fits, so choosing the one you will be comfortable in is most important. Their function, other than making you look like a style icon, is to create a protective barrier between you and the elements. It has to stop wind and rain from getting in but allow excess heat and moisture out. Most modern ski clothing possesses the technical features as standard to do this, but the main ones to look out for are water and wind resistant and breathability. 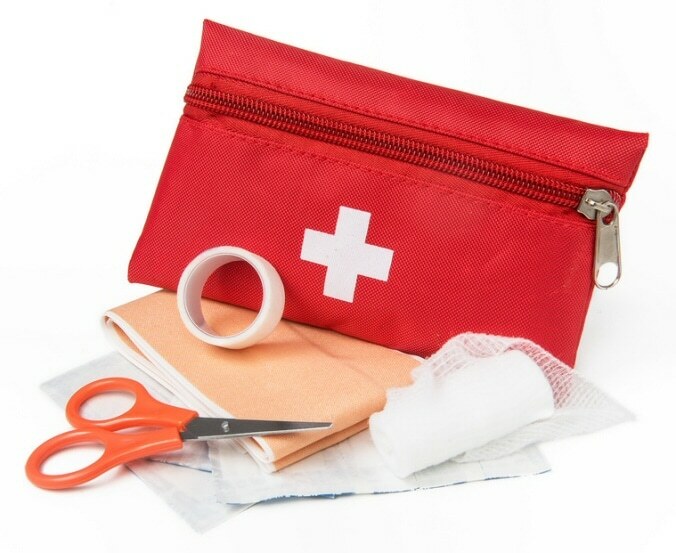 A first aid kit might not be the top of everyone’s list when packing for a ski holiday but it is always handy to have one with you, especially if you are not lucky enough to have your own paramedic to hand. You may have even thrown some items in your luggage without even realising it like plasters and headache tablets for example. After all, a plaster might not seem much but if a blister occurs from an ill-fitting boot it is worth its weight in gold. Depending on how far you venture will determine the necessity of what you put in your kit. If you are sticking to the piste areas a small first aid kit should suffice for aching muscles, bruises and blisters and the knowledge that the ski patrol is available for the more serious injuries, as they will take the necessary measures to ensure you get medical help in the safest and quickest possible manner. Things your skiing first aid kit should include? Please note these kits do not include your safety equipment. Safety is always the number one priority when skiing and snowboarding. Accidents by their very definition are an unfortunate incident that happens unexpectedly and unintentionally, typically resulting in damage or injury. As nothing beats the elation from returning home after a ski holiday uninjured. It fuels the desire to do it all again next season or same season if you are lucky enough. When you have your skis or snowboard maintained regularly with wax and service you will notice a difference in how they perform – simply put you will have much more fun! Waxed and serviced skis and snowboards require much less energy, as they glide smoother and are easier to turn. This gives you more control and minimises the risk of accidents. A ski holiday is much more enjoyable when you don’t have to battle with the equipment. Dry – Dull – Damage! If you notice dry, grey or fuzzy areas on an otherwise black shiny base then you have worn down the wax in that area. To fix simply remove any fuzz with a fibre pad and apply a fresh coat of wax either iron, rub or spray wax will get you gliding fast again. When the edges are dull or have burrs they are not as effective at gripping the snow when turning, allowing the snowboard or skis to slip out from under you. This is particularly noticeable in icy or hard snow conditions, making them difficult to ride. To check your edges for burrs carefully run your finger or a rag along the edge. If the edge has a burr it will feel a little rough and uneven or the rag snag. To remove the burr (sharpen the edge if necessary) use a rubber polishing block holding it flat along the base. To check for sharpness carefully and gently run your fingernail across the edge in a scraping motion. If the edge is sharp it will scratch at your fingernail when scraping. If nothing happens when scraping the fingernail then the edge is dull and needs sharpening. Tuned edges are important for control and safety; you can quickly and easily sharpen the edges yourself with an edge tuning tool. There are also pocket tuning tools that are handy for those on the spot adjustments. It is important to inspect your skis and snowboards regularly as riding damaged equipment can cause it to behave erratically, which can end up in an accident and nobody wants that. Here is what to look for when assessing the damage. Light scratches – are not much to worry about. Although irritating they shouldn’t affect the handling. Deep scratches – along with gouges should be a cause for inspection. You may feel this in your equipment’s performance as the ride will not be as smooth; especially if they run across the base (edge to edge). This is an easy fix for any good ski, snowboard repair shop. If tackling yourself drip-candles or equivalent are the easiest way to repair damage to the base on skis and snowboards. There a numerous YouTube videos that cover this topic. Exposed core or steel edge – if your equipment has this form of damage it is in need of repair; not only for your own safety but to prolong the life of your equipment. Again it should be a simple repair shop fix depending on the damage. For DIY repair enthusiasts make sure to use Metal Grip as the first layer of repair, as this bonds to the core and steel edge better than P-tex alone. Skiing and snowboarding are all about fun and speed. The faster we go the bigger the adrenaline rush. The trick is to be able to do this safely without endangering ourselves or others. That’s why learning the correct technique is so important, it gives you greater control. 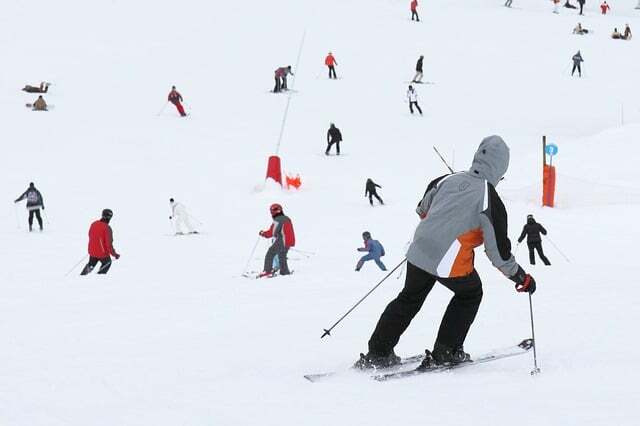 When learning do not feel embarrassed to take lessons or even a refresher lesson if you haven’t visited the slopes for a while. A qualified ski or snowboard instructor will be able to spot any bad habits you may have picked up and correct them, improving your technique – one lesson could save hours of practise with the wrong technique. Also for a confidence boost, you may want to consider wearing some protective body armour, such as impact shorts, wrist guards and knee pads, all specially designed to help reduce the risk of injury should you happen to take a tumble. So now with your confidence high and your technique nailed down. Does that mean you can go out and carve up the piste? Not exactly! There is a ski code you should be aware of. Developed by the International Ski Federation (FIS), the rules of conduct are like a highway code for skiers and snowboarders that help to keep everyone safe while on the slopes. They cover different scenarios such as con­trol of speed, overtaking and stopping. For a full list and explanation see this on piste safety article from the ski club of Great Britain. It doesn’t matter if you are on piste or off-piste. Whether you are experiencing some of the other exhilarating alternative activities available or just sinking a few après ski drinks, it is your ski holiday; please stay safe and have a great time. 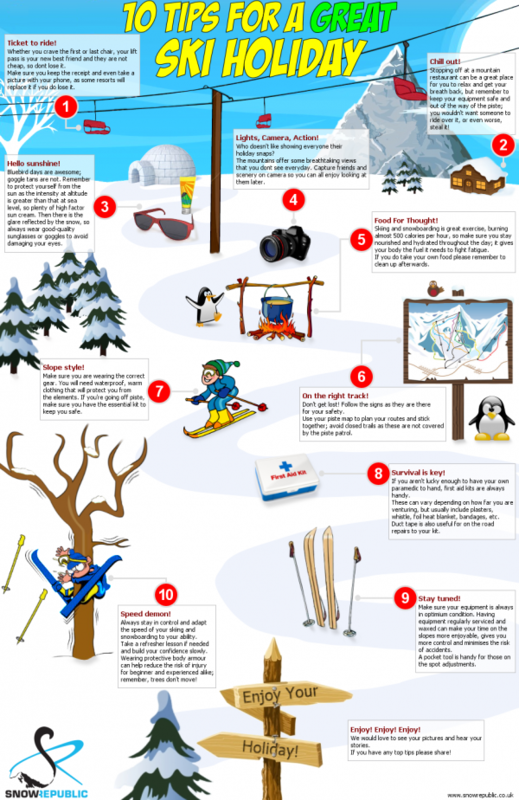 So there you are; that is our take on the list of ski holiday tips. Have we missed anything? If you have any top tips for a ski holiday we would love to hear from you. Have you fallen foul of any of these skiing tips? Let us know.